NYX Eyeshadow Base : I don’t know for how long I have been wanting to try the Mac paints pots but the price tag is the only reason why I did not get any one of them and I do have a little bit of pigmentation on my eyelids due to which eyeshadows don’t tend to show up. The closest dupe that I can find to the Mac Paintpot in ‘Soft Ochre’ was the NYX Eyeshadow base in Skintone 03. This eye base actually neutralizes the darkness on my eyes and makes the eyeshadow to pop up and also stay put for hours and hours. I have used this for about 2-3 times and definitely its becoming one of my favorite items. I love how this makes my eyeshadow lasts so long. I sometimes wear this all alone by itself for those natural makeup days. This base contains 0.25 oz or 7 g of product for RS 730 which is going to last for more than a year. 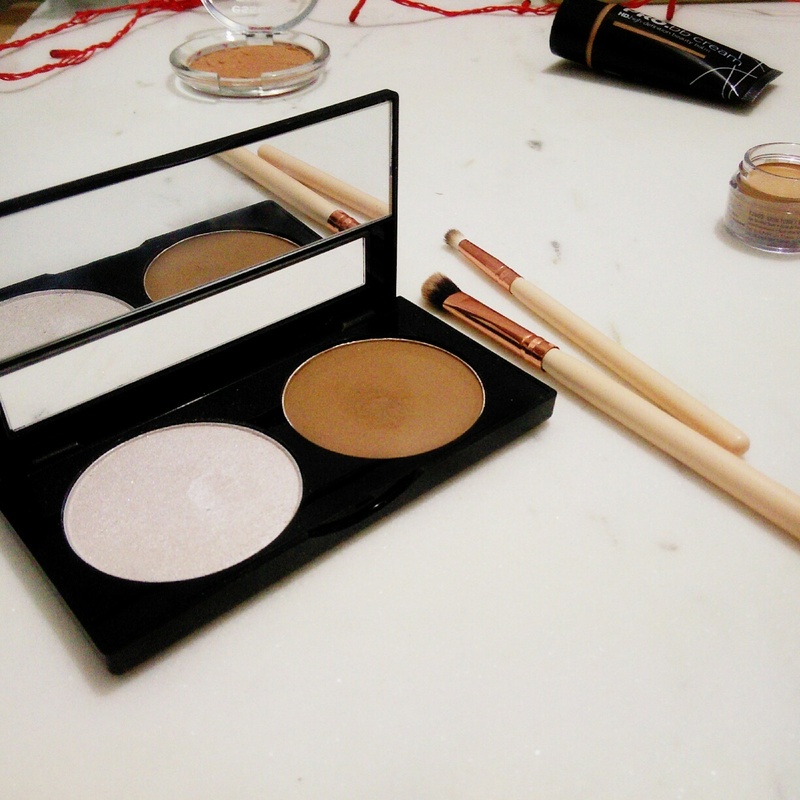 This eyeshadow base also comes in a white shade and a pearl one too. I do think that this is one of the best eyeshadow base from the drugstore. 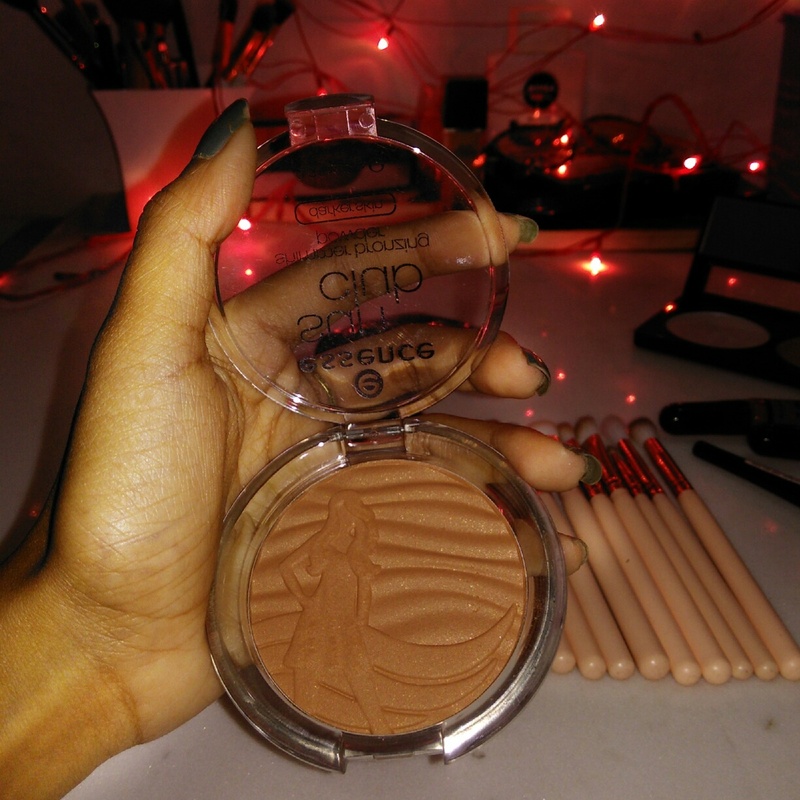 Sivanna Colors Contour Powder: While I was on the affordable cheap makeup haul spree I was browsing through ebay makeup section when I came across this product. Ebay sells actually a lot of makeup items which are extremely affordable and underrated. The product that I got is actually a duo product that contains a highlighter and a contour powder. I wanted to get this mainly because of the contour powder which look quite cool-toned brown in the picture. I did not have any hopes for the highlighter as because it definitely looked straight up white more so like a compact or a face powder. I did not think that this product would perform so well but to my surprise it actually is quite good except for the highlighter. The contour powder is the perfect cool-toned powder to give my cheeks and jawline the perfect shadow. The highlighter in this palette is a straight up glitter which cannot be even worn as an eyeshadow but as I said it doesn’t bother me at all as because I mainly got it for the contour powder. The only downside of the product is that even though I got the most darkest shade available in the range it is not quite dark at all. I do have to build up the product to get the chiseled look and it will definitely will be too light for girls with slightly darker tone than me and for reference I have a medium toned skin. Also this product is not quite available everywhere and the price tends to flicker all the time on sites like ebay. I do believe that I got this item for about RS 350-400 so I would definitely recommend to get your hands on this items while its prices are still low. Maybelline Hyper Matte Liquid liner : I actually do not remember the last time when I used a liquid liner maybe it was 3-4 years ago. When I discovered gel liners I altogether stopped using liquid liners or any other liners of that sort. I first used the Maybelline Gel Liners years ago and probably went through tons of tubs and I still am in love with that product. But somehow this time I made my mind to get into liquid liners again and test out different formulas. So, I decided to actually buy the NYC Liquid Liner which is the best matte liquid liner of all times and since NYC is not available here and I will certainly not be paying crazy prices on Amazon for it so I went for the next best option. Since I was so much in love with the Maybelline Gel Liner so I thought that maybe this liner will be worth a try. Soon, I was very much disappointed with this product, the first time I applied it it was beautiful, full matte texture glided beautifully and was jet back in color but the only problem I had with this liner is that it stayed for only an hour after which it crumbled and faded off in seconds. I do not know if I will ever try out this product again but so far it did not work for me at all and I see myself reaching out for gel liners more than liquid ones. The price of this liner was RS 325 for 3 g of product. L.A Girl Pro Concealers : L.A Girl is one drugstore brand which have amazing base products and their concealers are well know for the coverage they provide and the wide range of shades they come in. The concealers come in all total of 24 shades which is quite amazing and these can be used for highlighting the face, liquid contour, for hiding blemishes and also for color correcting as because it has shades that can suite well for many purposes. I got mine in the shade Orange which I use for color correcting under my eyes and one more in the shade Dark Cocoa which gives a beautiful and the most natural bronze to my face. These concealers works wonders, easy to blend and very very affordable. I am thinking of getting few more in different shades. This product is definitely a hit and I have been using these items day in and day out. The price of the concealers are for RS 590 for each and contains 8 gm of product. L.A Girl Pro BB Cream : Since we are on the L.A girl bandwagon I also got the Pro BB cream in the same range. I have seen Tati from Glam Life Guru rave about this bb cream and I was on a hunt for a good coverage bb cream for long and I thought to pick up this product and test it out. This bb cream has a very good coverage as most of the bb creams do not tend to have. Even if it has a medium coverage it gives the skin the most beautiful finish and looks flawless. The texture of this bb cream is certainly not matte it gives the skin the most beautiful luminous glow without looking greasy. I would say that if you are looking for a good foundation or a bb cream then look no more, just go ahead and purchase this product and I promise you that you will not be disappointed by it. But also if you have a very oily texture then maybe it will not work for you that well other than that I have nothing to say about it except that I have fallen in love with this product its becoming my ride or die makeup at the moment. I got this bb cream in the shade Medium which is a tad bit darker for me but I will definitely be purchasing another one that matches my skin tone well. The price of this bb cream is RS 650 for 1 FL. OZ (30 ml). Eyeshadow Brushes : I am such a believer of the quote saying “A girl can never have too many brushes” and I certainly agree on that. I got myself some basic eyeshadow brushes which has 12 piece of eye brushes containing many blending brushes, lid brushes, liner brushes, small crease brush and also pencil brushes. One of my resolutions for 2017 is that I am going to try different types of eye makeup looks like cut crease, halo eyes and many more. I have been so lazy the past year due to which I never tried any eye makeup looks and always went for the same old boring usual eye makeup but this year its going to be all about experimenting with different looks bold, simple everything I possibly can do. Hopefully I achieve at least one of the many resolutions for this year. 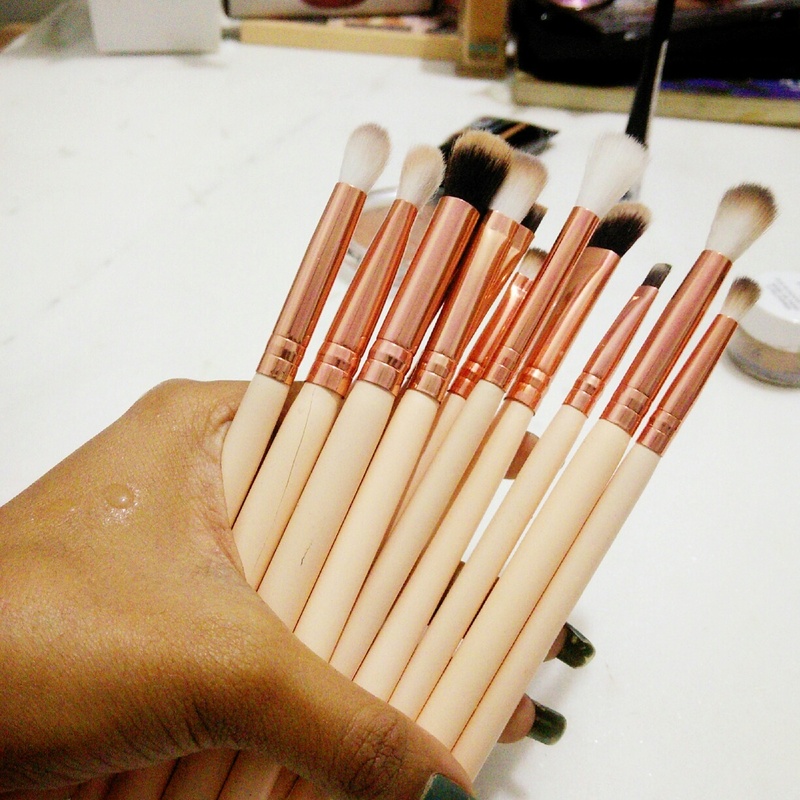 Also when it comes to makeup brushes I recommend using few drugstores once first and then going for those Sigma brushes because brushes are more expensive then makeup. Essence Sun Club Bronzer : Essence is one of the drugstore brand that has products under RS 500 OR $5 which makes this brand extremely affordable as compared to all other drugstore brands. This is a very new product to my bronzer collection and I have used this product only once and honestly I did not like it at all. I do want to love this product and want to make it work but the more I see it the more I start to hate this product. I do think that Essence is such an amazing brand as a whole its just that this product is not really doing much for me. The undertone of this bronzer is very pink to my liking and has very chunky little glitters all over. When I got this product I knew that this had a bit of shimmer in it but whenever I apply this to my face the color does not show up at all and my face is left with lots of golden shimmers all over. And the most annoying thing of all is that it smells like coconut and I despise the smell of coconut in anything at all. I cannot bear even the slightest bit of coconut and this bronzer has such a strong smell, but that’s just actually my personal preference. The texture of this bronzer is actually quite good but the undertone, shimmers and the smell is what I hate about this product the most. The price of this product is RS 350 for 9 gm. So, that’s all of the products that I got for my small drugstore haul. I will be trying out more beauty products and many different formulas this year and will try my best not be be a lazy creature. My most favorite items from this haul is the L.A Girl bb cream and the concealer, also I loved the NYX Eye Base and the contour highlighter duo. I haven’t use the brushes that long enough to actually give my opinion but so far its working really good. The major disappointment was the bronzer and also the liquid liner. I will definitely try to make these products work somehow. 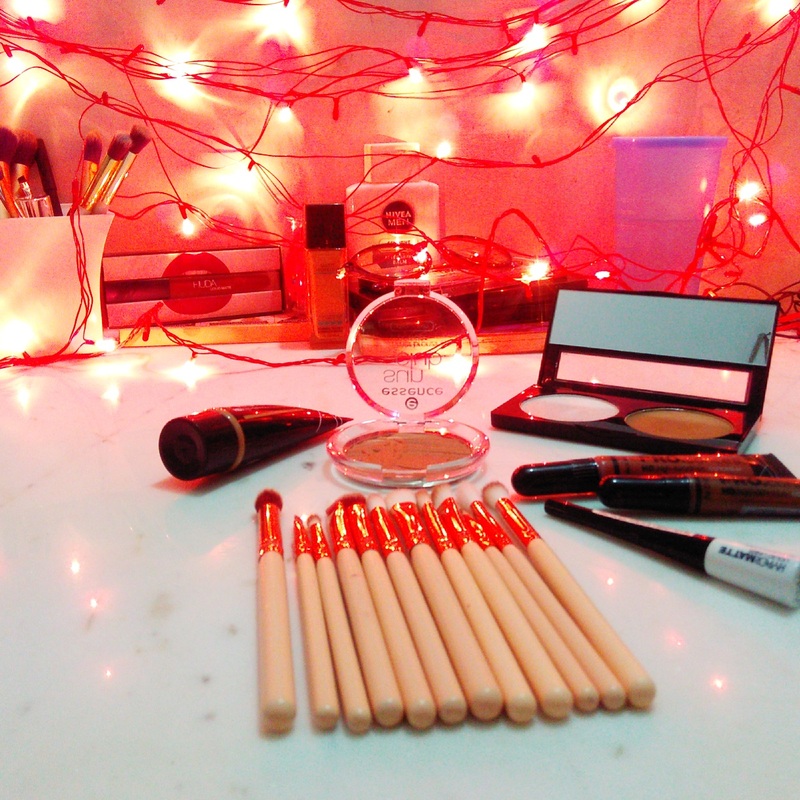 Do stick around for there will be many many more hauls coming this year and many different brands that I will try out from drugstore and from high-end as well. Yeah they are amazing. This product surprised me actually. Great post!! I love the essence brand! I am going to keep my eye out for the NYX eye shadow base, I really want to give that a try! How disappointing with that matte liquid liner! I’m a total liquid liner junkie but everyone tells me to switch over to gel. I just for some reason can’t wrap my head around the fact that the gel will be precise? Which I’m not even sure why I think that bc I’ve seen plenty of girls using them and their makeup is flawless. I think I need to try it once and for all, you suggest the maybelline gel? 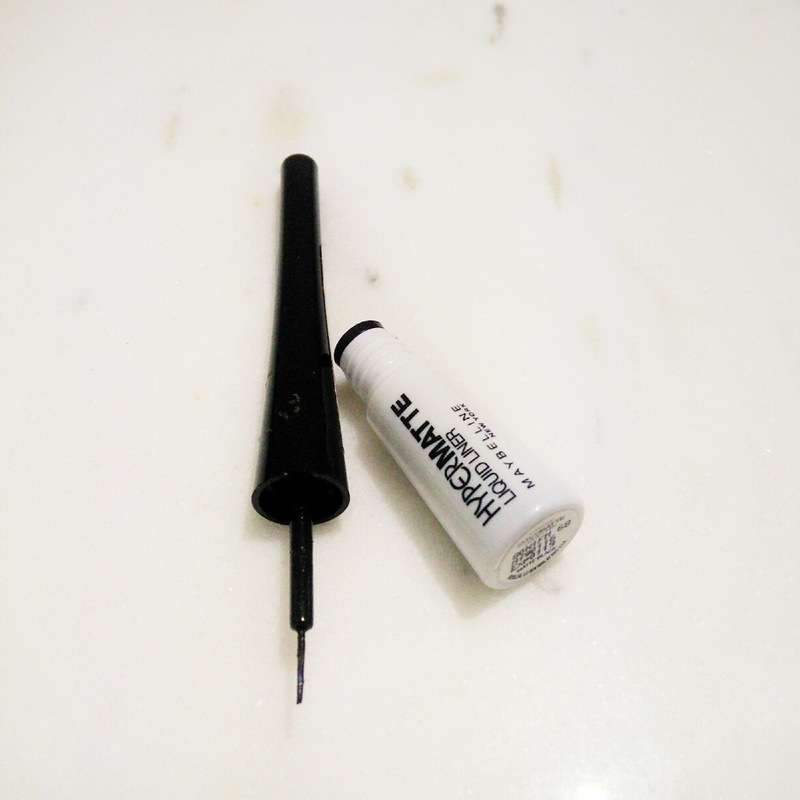 I totally would suggest you trying the Maybelline gel liner. It is very easy ti use and also a little goes a long way. Even I have heard great things about the inglot gel liners. Thanks for your write up on the NYX shadow base. I’m the same with wanting to try MAC paint pot but not pay the money, so I think I’ll give this ago instead! This is truly amazing. Definitely give it a try. Thanks for stopping by my blog. Yeah mine too. Thanks for reading my post. First of all, I’m sorry I think I misspelled your name in my last comment :(. You have a beautiful name. I really enjoyed this post! Often times the price tag keeps me from buying makeup products too. I have been looking for a good primer so I might try out your primer. Thanks for the recommendations :). Thank you! That means a lot to me! I will definitely be writing more and visiting you again soon!!! Xoxoxo. Definitely wanna try the NYX shadow after reading this! This is a great haul! 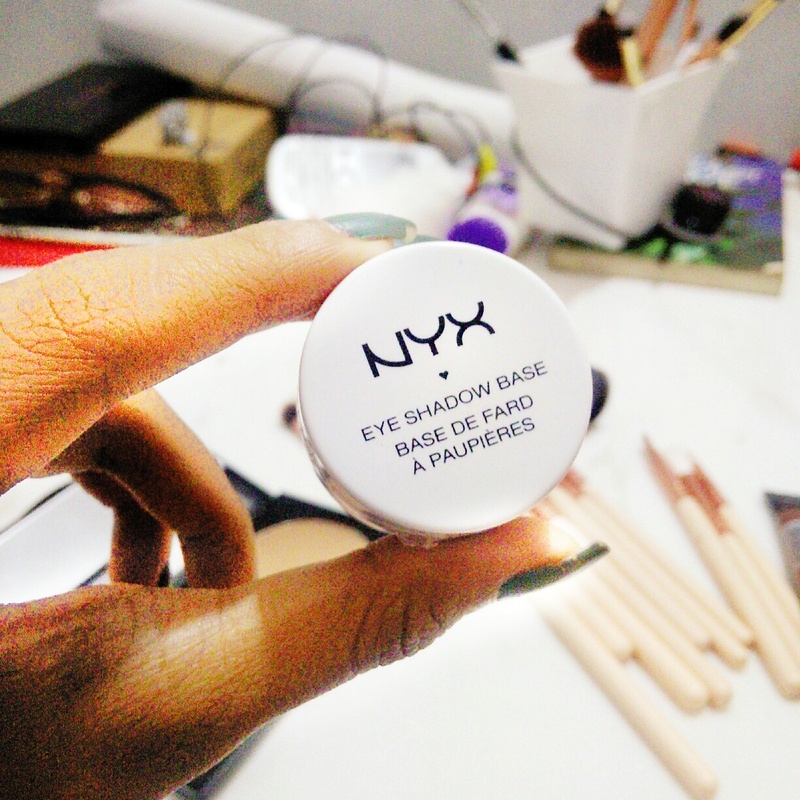 I love NYX eyeshadow base – I think it’s one of the best. I want to try L.A Girl Pro BB Cream but I am on the fence lol I don’t own any BB creams.